Look at this youtube video, good analysis! https://vine.co/v/b3gbMwUuD1x Is this TWD s2? Veeeery interesting. Could "Vince" or "Bonnie" be our new PC? ...or could they both be the new PC? It looks like The White House in Bonnie's picture, in DC. And the date I believe was at the 200 day+ mark, so maybe the group is moving to Washington D.C. like Rick's group did? Let's see! 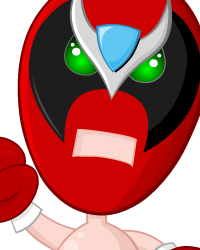 "Ah ah ah, you didn't say the magic word!" I don't like Jurassic Park references, Telltale... not one bit. lol if Clementine moves to Washington DC, then a monument of the Walking Dead should be made there. That would be SICK! You guys are expecting way to much from them. They cant even make your decisions fall through in the long run, so what makes you think they are going to go this deep in making season 2? I really hope Lee doesn't get replaced. I'm really afraid a older Duck will be the main character. 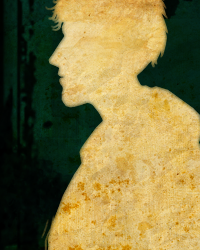 In search of his ''childhood friend'' Clementine. But Clem abanded Duck for obvious reasons. I think the 400 days crew will join Omid/ Christa and Clem as the main group. 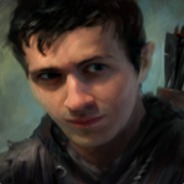 I think it would be cool if for each episode in season 2 you play as someone different. Like youll play as wyatt for the first episode, Bonnie the second, Russel the third, etc. 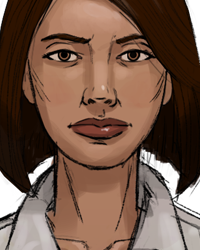 Still the story will be centered around Clem but just different characters to lead the story. I think they will all meet up at the camp, itll get over run and there on their own again. - Female PC. Would just be interesting. I trust TTG would manage to do this in a good and interesting way. - Don't make each episode about different characters. I would prefer to have the emotional depth of season 1 by just playing one person. - TTG already talked about cannibalism, food shortage, theft, exiling the weak, bandits and many other things. It would be nice if the future episodes would have some new topics like a new kind of slavery (humans or zombies as workforces), the rule of the strongest, status of women in this post apocaliptic world etc. - Please don't integrate some stupid/comedic characters like "Duck". He redeemed himself in the end and I really enjoyed his detective work, but he just felt displaced. Eddie from DLC 400 days is much better. He should have a bigger role in season 2 for sure!!! - You don't have to kill off everyone in seson 2. - Integrate a battery puzzle in memory of Carley the fair. How about finding some old recording device from her jop as reporter? That might need batteries and she could comment the first few hours of the madness around her. Season two features a female priest as the main character. Can she stick to her beliefs? How does she change? How does it influence her faith? Well, I guess not many people would like to play that. But a side character could be fine? should be christa and omid. Every you said is just silly. It was never centered around her, but big part. No, that would be chaotic and wouldn't make the lore as interesting as if you would play with one person. Main reason is if you play them all you'll get to know them just verry little while playing one character all episodes would make you know him in depth. Did anyone think that since the people from 400 day's did not find Clementine, then the chance it was Christa and Omid is not a bit higher then it was before, I mean it could still be new people but at least I think it really could be them now. That to, I just some of my questions are answered, is Kenny alive, is Clementine okay, were is Christa and Omid, will it be able to put a knife through Lilly's throat, I could live with two of those answered but I would like three. Did you play the same game I played? 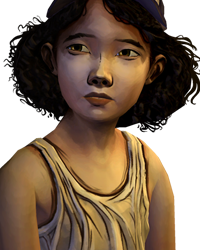 The entire game REVOLVES around Clementine...she is literally the only essential piece to the story line if the story continues. ???? Not at all! First off, the group is made up of 8 people (including Omid, Christa, Clem.) Thats not a lot... if you cant keep track of a storyline with 8 people then thats your fault not TellTales (and obviously throughout the episodes there not all going to survive.) More importantly you will get to know every character just as well with the alternating perspective. It will greatly enhance the gameplay. Youll feel closer to all the characters since you get to play with them for an entire episode. I honestly dont see any downside with this method especially since each episode is about an 1 - 2 hours which is a good amount of time to get to know that character as it is. Kenny's dead, Clementines OK. There ya go. Thanks I guess??? I know it looks unlikely but Kenny could still be alive and until Telltale tells me he is not dead yet, Clementine is more then likely okay but we do not know that, this IS Telltale, they did just kill Lee so who knows what they will do. Someone said that Bonnie goes to the camp regardless of the player's choices. If true, and she is the PC in season 2 because of that, I think she would be an interesting character where the player's choices truly affect her personality. I sorry but Lee never sees Kenny die, no matter what you pick say or do you do not see him die, if there was a option then we would not be talking about it. We never heard he yell, you know how painful it is when a Walker eats you, even if they all jumped on him he would have made some noise. Christa did not see him die and she was above everyone. The walkers do not seem to be on top of any body's during the over head shot, the sounds of eating could very well have been them just eating Ben, I do not want this turning into a war, all I know is there is no proof he is dead or alive. Please stop. Honestly, I dont want Kenny to live because it would completely and I mean COMPLETELY ruin the story for me. There is no way possible he survived. ZERO chance he would survive. 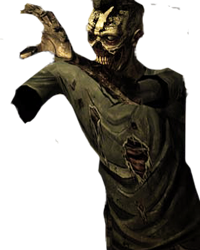 If there is one thing TT has done great with this game is that they have kept it realistic (of course realistic in the sense of a zombie apocalypse ) IF Kenny did live and reapper I would lose total respect in TT. They have managed to make a great intense emotion gripping game by keeping it realistic. There is no logical/realistic way Kenny survived. I wish Carly was still alive but alas according to Russels story, shes not. I do not understand why people thought Carley was alive at all, probable because people liked her a lot but there never was proof she was alive, all I say is I hope Kenny made it because he was a great character and friend to me, The Walking Dead has done this stuff before you know, so it's not like it would be out of the blue. The Walking Dead GAME has never done anything like this before. The Walking Dead Show to my knowledge has not either. I dont mean to start anything with you, but you atleast understand where I am coming from, right? I think the quality of the game would be severely diminished if Kenny or any other character that seemingly died (or in Lilys case left) comes back. Also you do realize you said people thought Carly was alive because they liked her, and you are arguing that Kenny is alive with no logical explanation because he is a "great character and friend." The show did do it once, I won't say because it's spoiler but it was in Season 3, I have no reason why people thought Carley was alive other then the amount of fans, she was clearly dead at the point of impact. 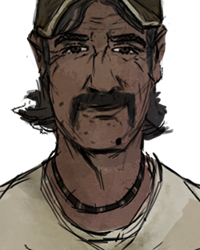 There is no hard evidence that Kenny is alive, but just the fact that Telltale never confirmed it, that one time Gavin Hammon said not to give up hope and when he once said he would like to be Kenny again, along with never seeing him die and no death scream just seems odd, I mean every character that is noteworthy dies on camera except for him, he very well could be dead I just HOPE he has not after all we went through it very well could be just hope that keeps me thinking he is still out there and not dead in a alleyway. I do not want this turning into a argument I am just stating what I believe that is all. Um... the game definitely did it, Lee in the sewers ring a bell? He got completely surrounded and abandoned by the others, and stranded basically. The fact he even survived was because the manhole happened to be right there and the walkers were too preoccupied with Chuck to worry about him. He had to of been gone for a long time, and if it was anyone else you were playing as I'm sure you'd question if Lee made it or not. Carol makes it out of an area of the prison because T-Dog sacrifices himself. Andrea survives out in the woods on her own, while the rest of the group assumed her dead. She is even unknown for a short amount of time after Michonne finds her. Morgan was thought dead because he never responded to Rick and was left MIA for over a year, but he was found alive. And the game is canon to the comics, and I do believe Telltale is helped by Kirkman himself, so who knows what twists are in store. All the main cast of season 1 was confirmed of their fate, either alive or not(Episode 1 wise). Kenny is the only one unknown and he is the third longest main character in the game, and only Clem and Lee were ahead of him. 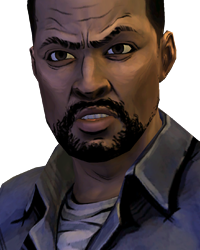 I believe when Telltale wants him gone, they'll send him out with a bang, so either you'll see him alive and well or as a walker. However, to criticize another person for their opinion and hopes is pretty bad when you don't know either. Carley was pretty much confirmed dead, and you literally see her get shot, but most people didn't tell them different. More at five on Fox. You bring up great points but in Kennys case there was literally and absolutely NO WHERE to go. I just rewatched it again and there is no way that TellTale or any publisher can bring him back ALIVE. As a walker yea sure. You see the zombies tackle him which is good enough for me. As well as someone else said Lee watched the whole thing. Im pretty sure if Kenny hid somewhere or started running he would yell something or make some kind of reaction. 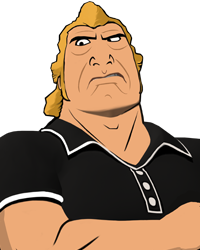 I know it seems very unlikely, and I know the odds are not even in the slightest, but I just got that feeling that Telltale is not done with Kenny just yet. heres a question for everyone: what would you think if you went back to the jewelry store and there was no sign of Lee,alive or dead? I would say something moved him or the walkers ate him, I know what a lot of people would be thinking. It's either this or Christ and Omid. The 400 Days ending is too far into the future to be Vince , Wyatt , Russell , Bonnie , Shel or Becca. I hope it's Christa and Omid, it would kill two of my questions with one stones, if Clementine is and will be safe and if Christa and Omid are alive and well, and I am starting to think the chance for it to be them just went up. Did Clementine have her walkie talkie with her? Could be a way for her to reach Tavia and her group (Tavia's walkie even made the same sounds as Clementine's I think, or is that how they all sound). But I can't remember her picking it up or having it with her after the Marsh House so maybe not. The walkie was ether left in the Marsh House or was on Lee's body when he died, it won't be factor in season 2 unless Telltale say's otherwise. True, you just never know.